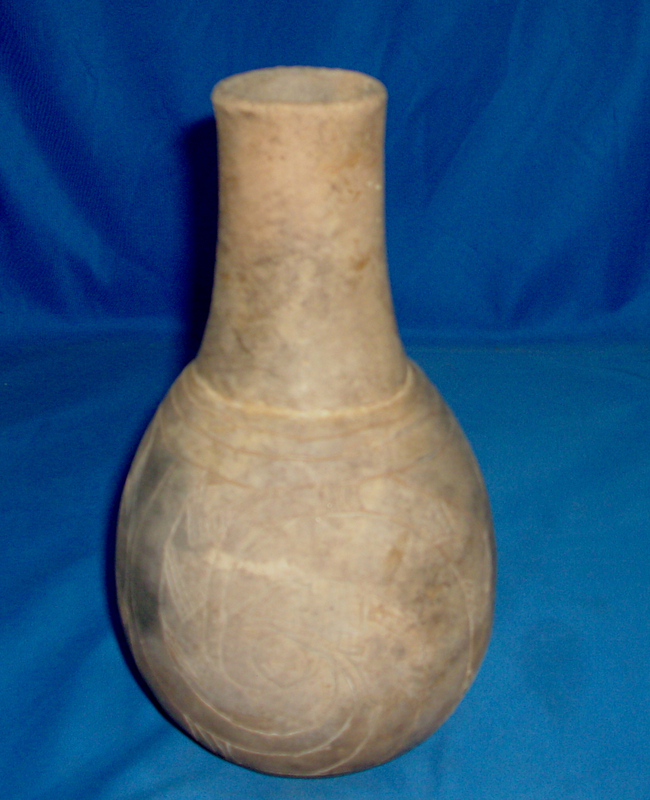 A Large Size, Very Well Made,Caddo Wilder Engraved Waterbottle That Exhibits Surface Sheen And Clay Coloration Patina, Correct Aged Open Pit Firing And Firemarking, Aged Surface Grog Deterioration, Correct Vessel Shape & Style Decoration, Visible Polished Neck Handle Use Wear, Aging In The Engraved Lines, Correct Material & Manufacture For The Area Found. Ex-Jack Bonds Collection. This Is A Very Highly Collectable Example, Being In Solid Condition, Having A Small Probe Hole! Includes A Ken Partain Certificate Of Authenticity!